Home > Comet Clutches and Parts > Comet 219573A (20 Series) Fixed Face and Post (Engine Side Sheave) > Comet 219572A. Movable Face with Splined Hub. Comet 219572-A. Movable Face with Splined Hub. Comet 219572A. Movable Face with Splined Hub. Comet 20 Series Symmetric belt systems (3/4" Wide Belts). 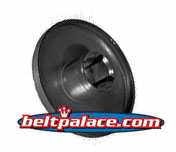 Replaces Movable face on Comet Industries 203812A and 219559A (3/4" Bore) clutch assemblies. *Comet 200376A Hub sold separately. 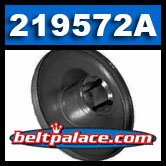 Genuine Comet Part 219572-A with Black Oxide finish. Made in USA!